The debate between Gold bulls and bears could perhaps be laid to rest in this very clear descending triangle chart from the daily time frame. With Gold having clearly broken the support level at 1283.6, the only way for Gold to head is down south. ECB’s monetary stimulus package might have given Gold a short term boost but provides a good opportunity to sell the rallies. 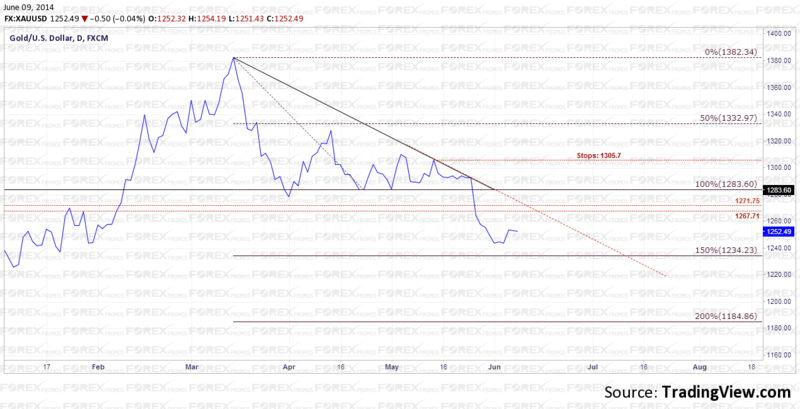 In the chart above, the descending triangle gives a target of $1184.86. We notice a minor bullish rally coming into play just near 150% distance to the target. With descending (or ascending) triangles, this is a usual norm, which allows traders to take a more confident trend. 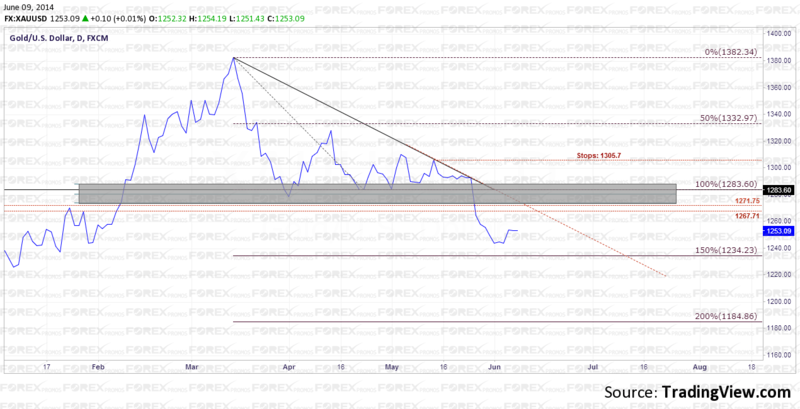 The red dotted lines at 1271.75 and 1267.71 is the most likely place for Gold to end its retracement rally. This level also coincides with the falling resistance trend line which has been respected so far. Having said that, do not be surprised if Gold retraces back to the breakout level of 1283.6, which has hitherto been acting as support. It is therefore possible that this level could now be tested for resistance before the intended target of 1184.86 is achieved. In terms of limiting the losses, placing a stop order just above 1305.7 would be a safe level to limit any events that have not yet been discounted by price. To get a more clearer picture of the retracement, when zooming down to the 4-hour chart, we notice the ranging price action set in place between 1253 and 1242. The spikes to the upside give possible hints to an upside breakout which gives a target to 1263.33, which is a few points below our entry price of 1271 – 1267. 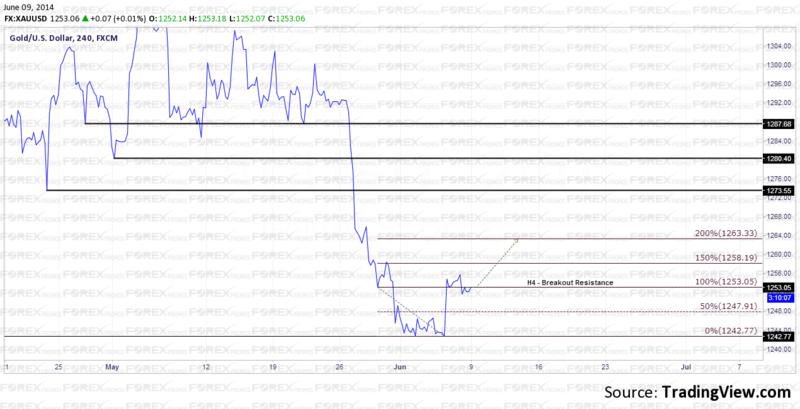 The solid horizontal lines coming in at 1273.55, 1280.4 and 1287.7 are potential retracement levels. Comparing these levels to the main daily timeframe, notice the highlighted rectangle area that shows confluence with the past support break out zone. While position will definitely play an important role, an ideal way to trade Gold futures would be to place small positions at the various levels, preferably at the closest round numbers. 1270, 1280, 1290 with stops at 1305.7 targeting 1180, 1184.86. The above analysis for Gold is a long term chart so it could take weeks, if not a month or two before the intended target is achieved.